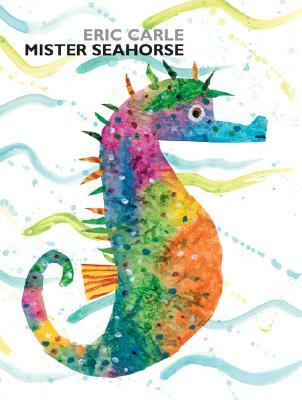 When Mrs. Seahorse lays her eggs, she does it on Mr. Seahorse's belly She knows he will take good care of them. While he swims waiting for the eggs to hatch, he meets other underwater fathers caring for their babies. Now Eric Carle's heart-warming "New York Times" bestseller is finally available in a board book edition, complete with the clear "peek-a-boo" pages that made the original such a hit. Brimming with bright, colorful sea life, this new board book will be irresistable to young children everywhere.